In order to cater to the emerging requirements of esteemed clients, we are offering a comprehensive range of Digital Temperature Controllers. This range is designed & developed utilizing innovative techniques in conformation with the international quality norms and standards. 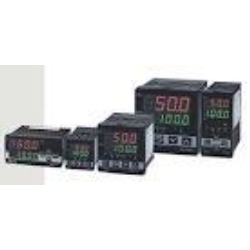 Along with this, the offered range of digital temperature controllers is customized in different forms and is tested strictly on different characteristics. We are a renowned name, which is readily engaged in dispatching a comprehensive range of Digital Temperature Controllers. This range is developed utilizing optimum grade raw material and latest techniques in conformation with the industry laid norms and standards. Along with this, the offered range is available in different customized specifications and forms in accordance with the assorted demands of clients.